A few short weeks ago, we were partaking in a series of fundraising events to send Scarlet Sinclair—an amazing tattoo artist, and, dare-I-say, legend in the burlesque community—off to France, to study under renowned faerie artist (speaking of legends), Brian Froud. One of the events, was a screening of Froud’s faery film collaborations with Jim Henson. 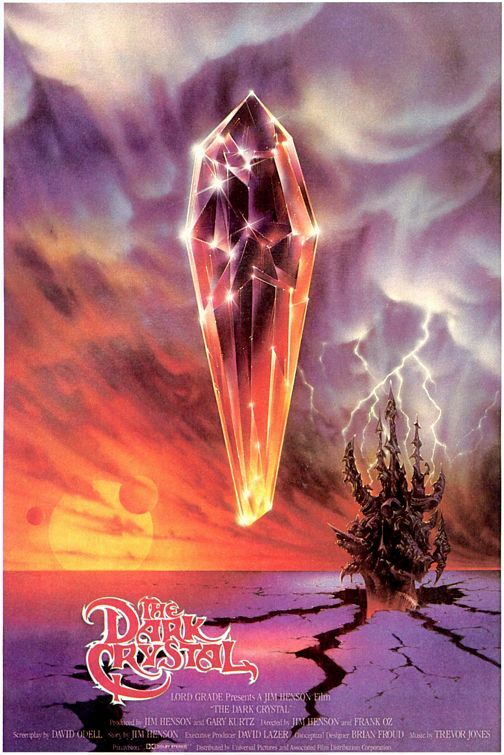 The cult classics: Labyrinth and the Dark Crystal. (I now know exactly what you’re thinking, because you’re thinking of Bowie. You’re welcome.) 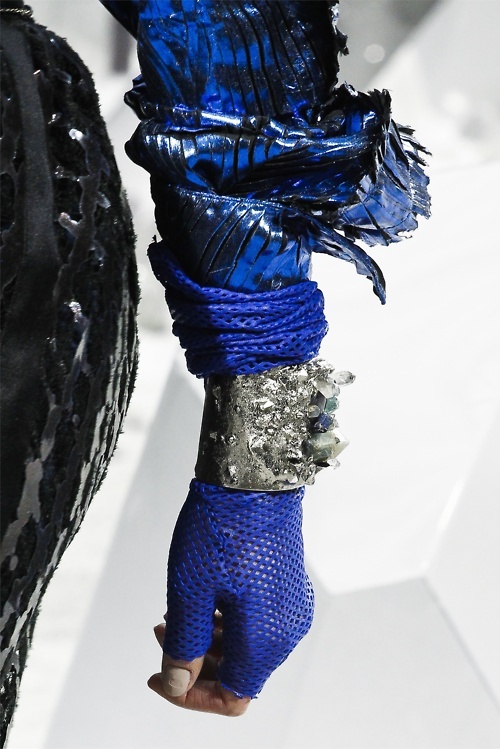 Meanwhile, back in France, just a few days before the screening, Karl Lagerfeld debuted Chanel’s A/W 2013 collection during Paris Fashion Week, and holy crap, my mouth fell open at the sight of this fashion nerdgasmic coincidence: A Dark Crystal inspired collection?! Not since Prada’s fairy collection (you heard right. Don’t worry, there will be a post),[UPDATE: It's HERE!] do I recall another high-end designer going that particular direction. But while Prada mixed several references together: 60s, 70s, Art Nouveau… Karl’s interpretation was just chic, new and elegant. Updated silhouettes, and details that were fresh, by way of being beautifully, mercifully literal: the models were dripping in crystal, right down to their crystal encrusted eyebrows (we can thank Peter Philips, creative director of Chanel makeup, for that).